Read 3 times. Last read March 16, 2019. That was a very fun, short read. I may even listen again sometime. Trying to get my wife into audio books and thought this would be a good pick for her. She liked it quite a bit. Score! 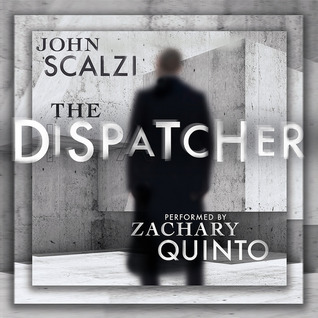 Sign into Goodreads to see if any of your friends have read The Dispatcher. 58.0% "Interesting! And enjoying Zachary Quinto's narration."